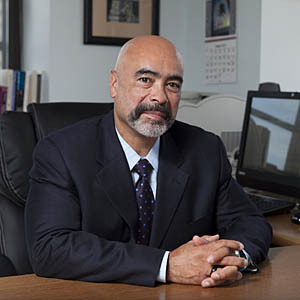 Juan Cartagena (pictured), President and General Counsel of LatinoJustice PRLDEF (formerly the Puerto Rican Legal Defense Fund), says there is "a growing understanding" among Latinos in Florida and across the country "that the death penalty is broken and it can't be fixed." In an op-ed for the Orlando Sentinel, Cartagena explains the reasons for Latino opposition to the death penalty, especially in Florida, which has a large Latino population and is home to Miami-Dade, Hillsborough, Pinellas, and Duval counties. Those four counties are among the 16 counties that have imposed the most death sentences in the U.S. over the past five years and, Cartagena writes, "[t]hey all suffer from prosecutor misconduct, bad defense lawyers, wrongful convictions and racial bias. In Miami-Dade County from 2010 to 2015, every single person sentenced to death was black or Latino." Cartagena particularly emphasizes the historical opposition to the death penalty among Puerto Ricans, of whom increasing numbers have moved to Florida in recent years. "Puerto Rico abolished the death penalty in 1929. Its constitution, drafted in 1952, states that 'the death penalty shall not exist.' Opposition to capital punishment is a part of our legacy." As a result, he writes, "Puerto Ricans in Florida are paying close attention" to the serious flaws in Florida's death penalty, including allowing non-unanimous juries to impose death sentences–a practice that was struck down as unconstitutional earlier this year. All these concerns, he says, are reflected in a nationwide "shift away from the death penalty" among Latinos. In the last two years, three major Latino organizations have made strong public statements against the death penalty. The National Latino Evangelical Coalition adopted a position against the death penalty in March 2015, contributing to a change in the National Association of Evangelicals' stance later that year. In June 2016, the National Hispanic Leadership Agenda called for repeal of the death penalty, and in August, the National Hispanic Caucus of State Legislators passed a resolution urging repeal. According to the July 1, 2016 edition of Death Row USA, a quarterly publication of the NAACP Legal Defense & Educational Fund, 380 Latino/Latina prisoners are on death row in the United States, comprising 13% of the nation's death row. Nearly 90% are on one of five state death rows: California (185), Texas (71), Florida (31), Arizona (28), or Pennsylvania (16). 91 of them–approximately one quarter–were foreign nationals from Latin American countries. (J. Cartagena, "Latinos join call to end death Florida's penalty," Orlando Sentinel, December 10, 2016.) See New Voices and Race.